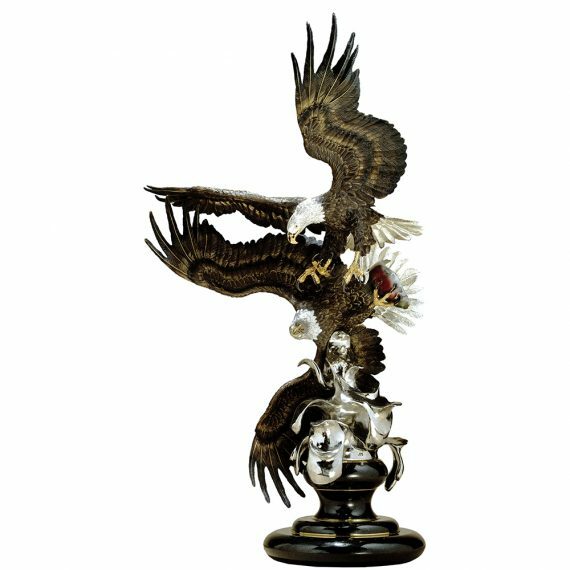 “Majestic Courtship” depicts two bald eagle’s in aerial courtship. 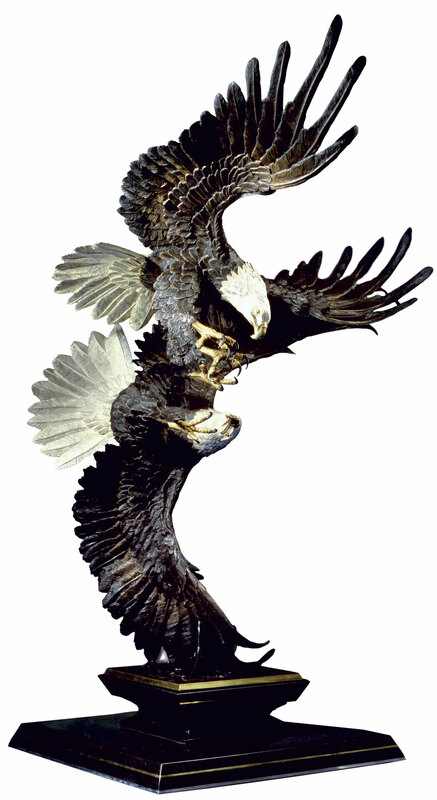 Male and female bald eagles exhibit an unusual courtship ritual. 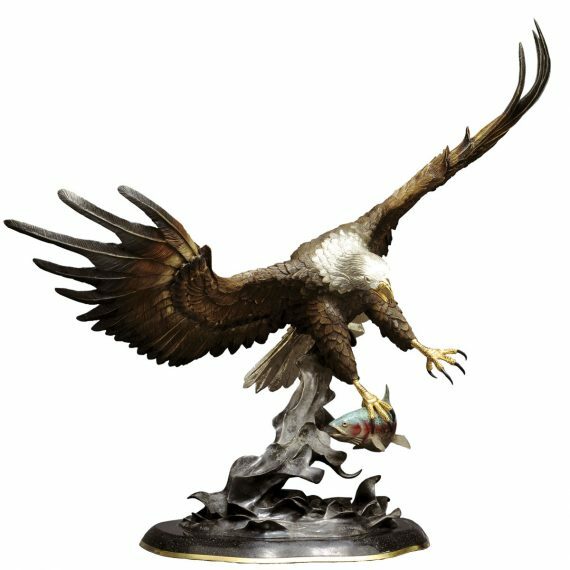 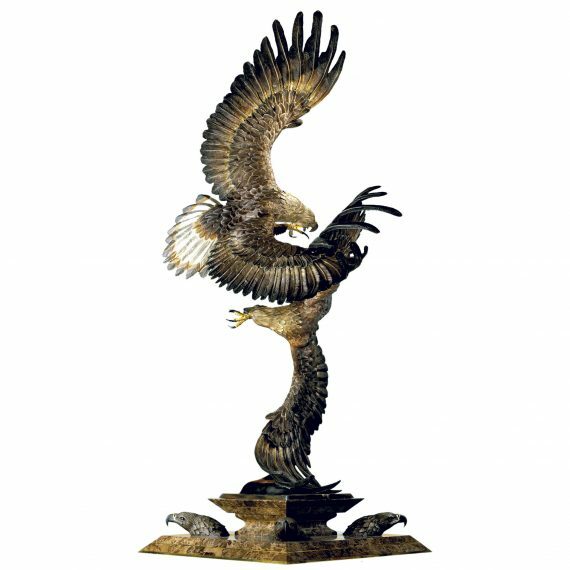 In a death defying acrobatic dance, eagles lock talons at high altitudes and then tumble and somersault towards the ground, finally breaking apart at the last minute. 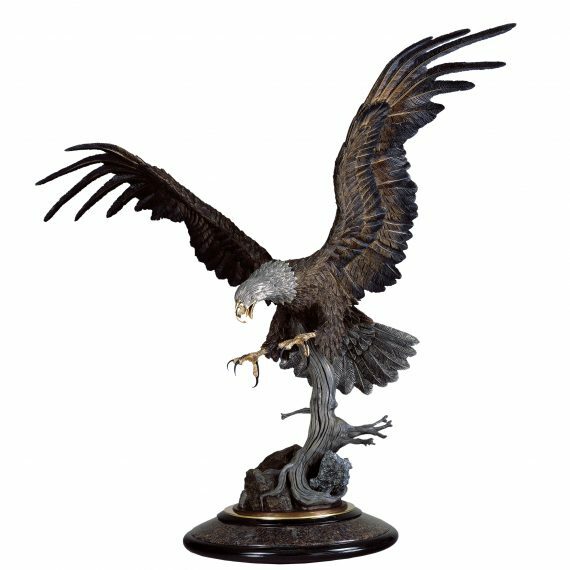 Eagle’s mating ritual extends far beyond their exciting and deadly beginning as they return to the same nest year after year and defend their territory against any trespassers. 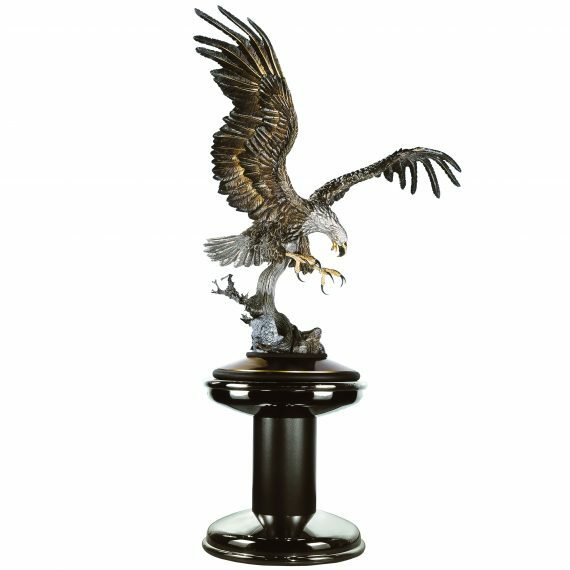 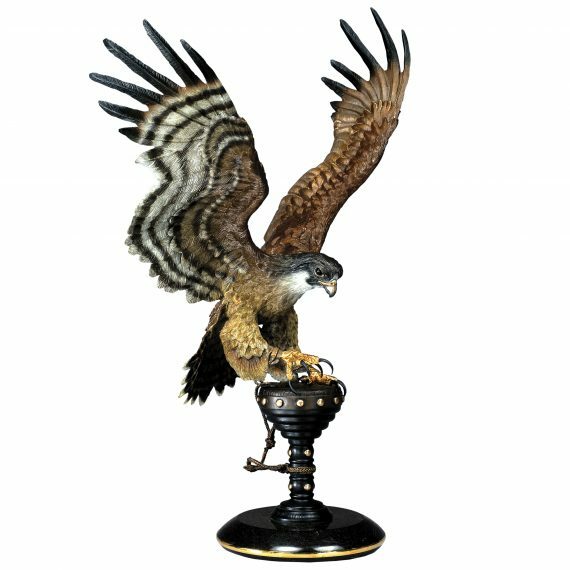 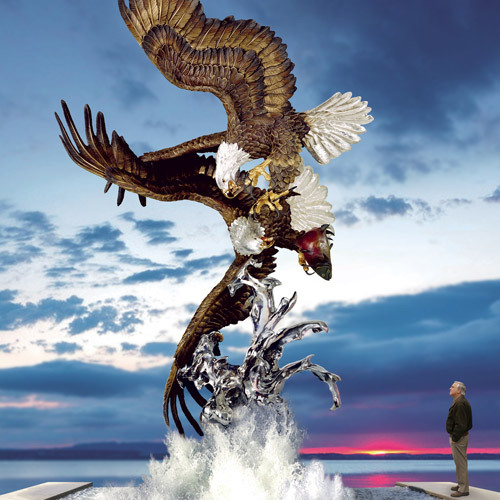 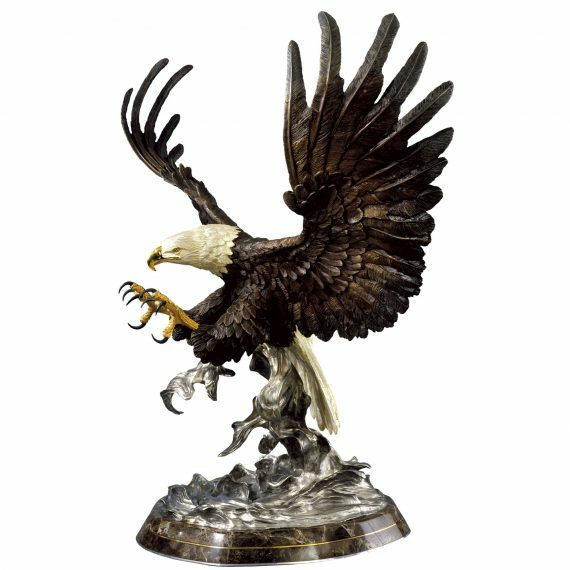 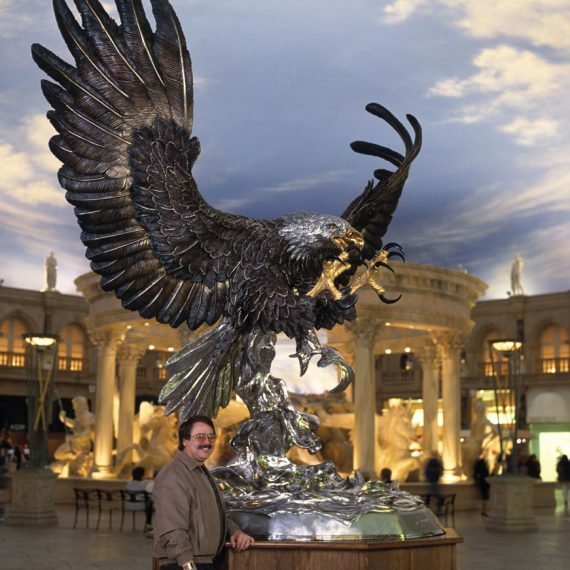 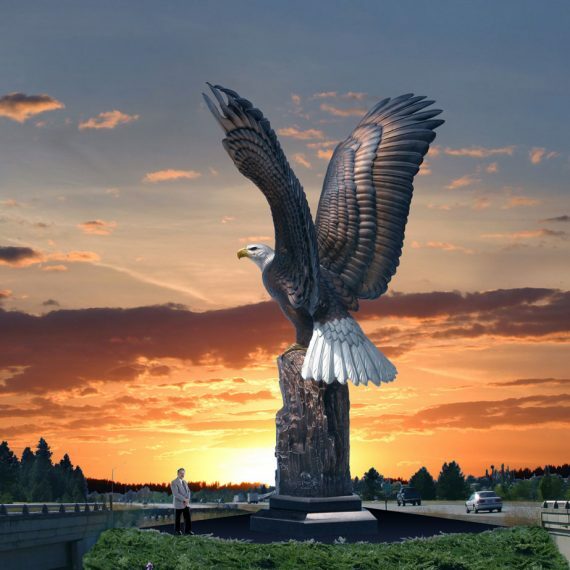 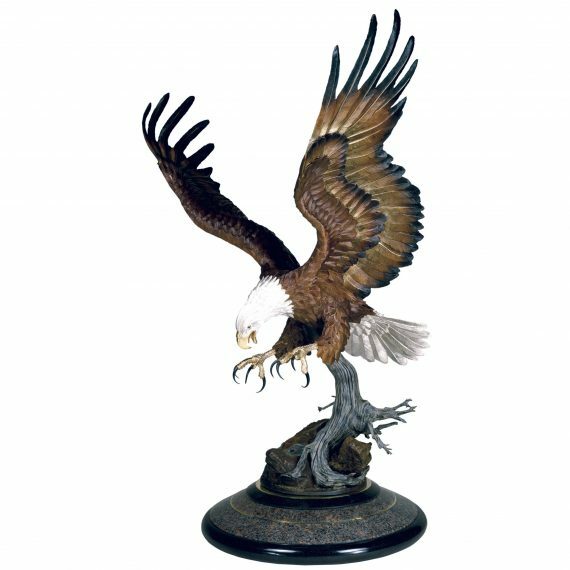 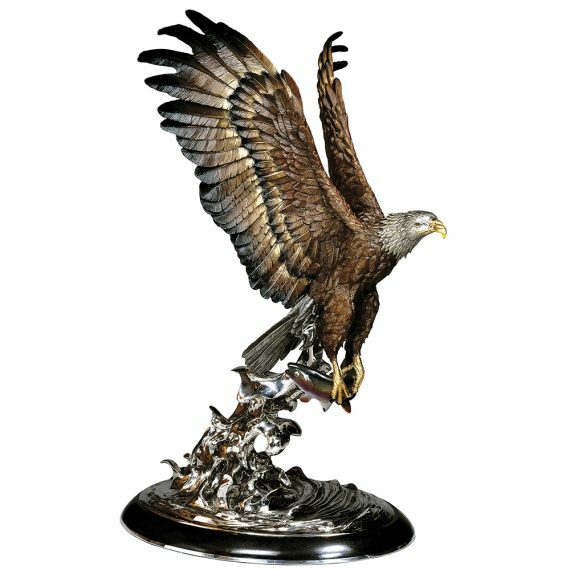 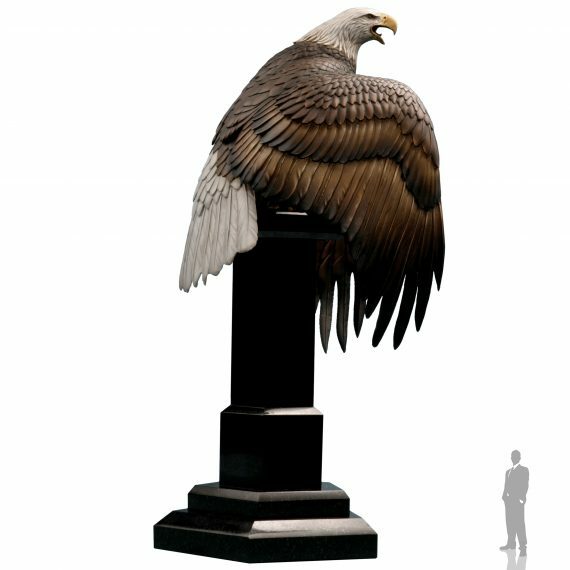 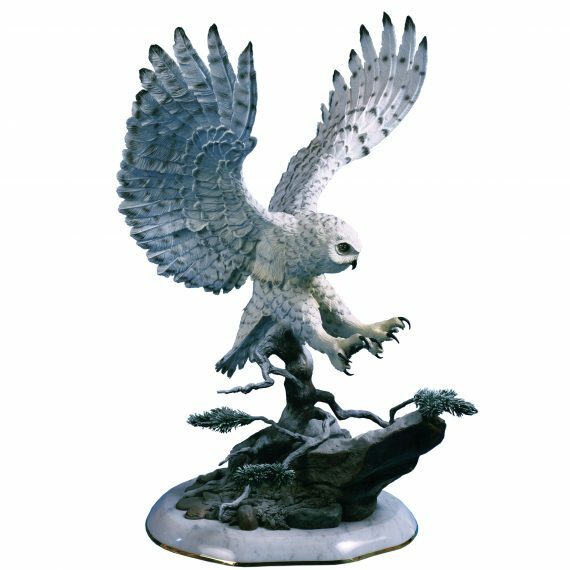 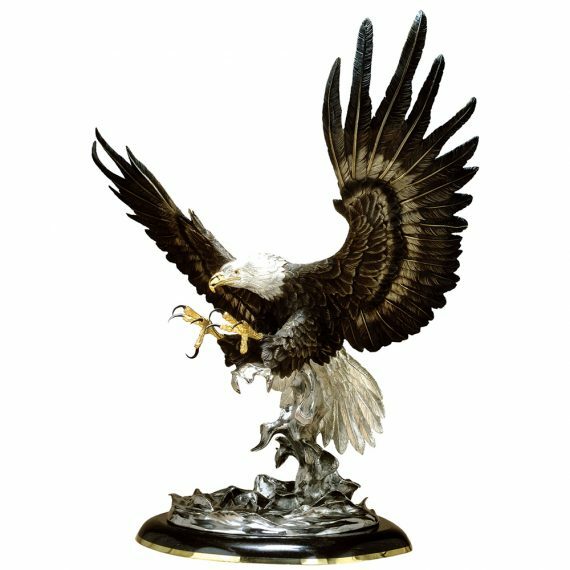 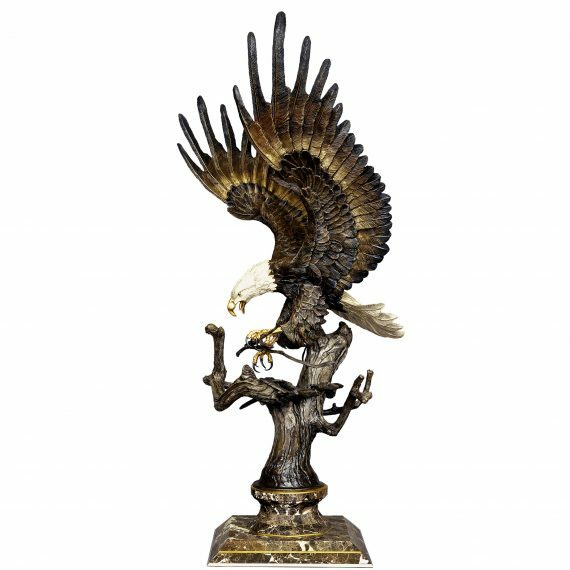 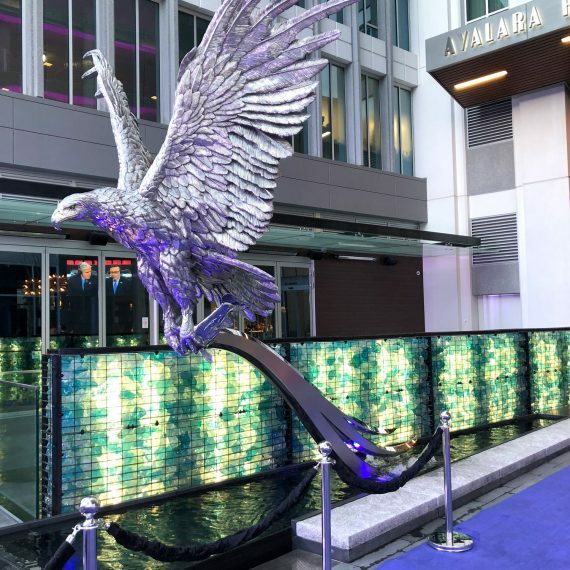 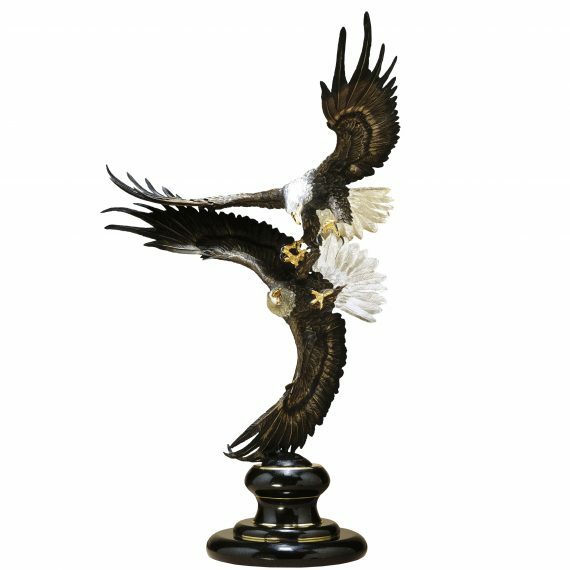 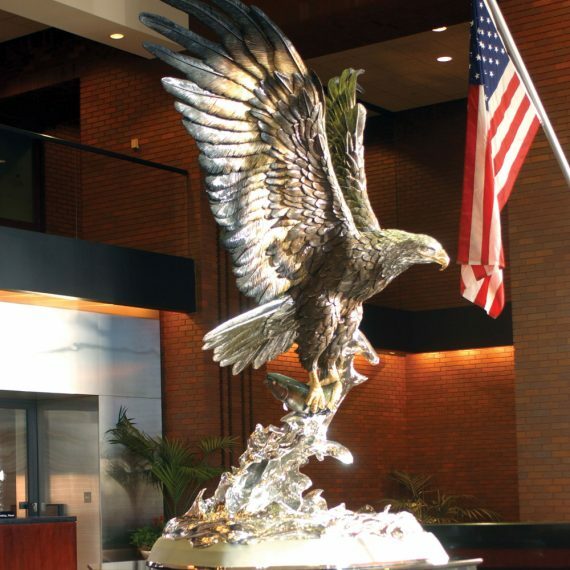 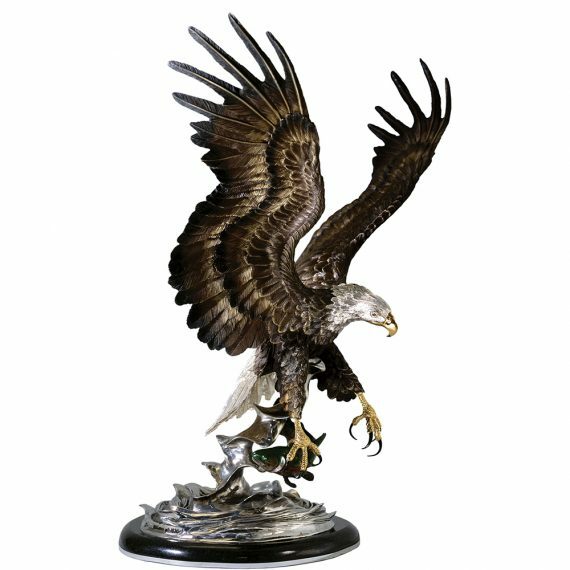 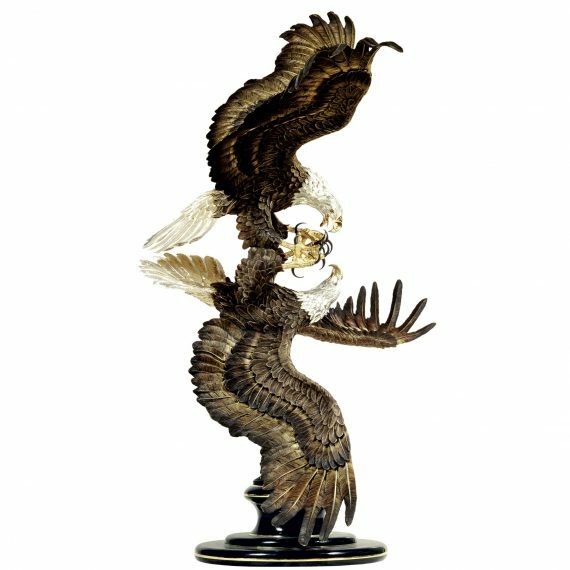 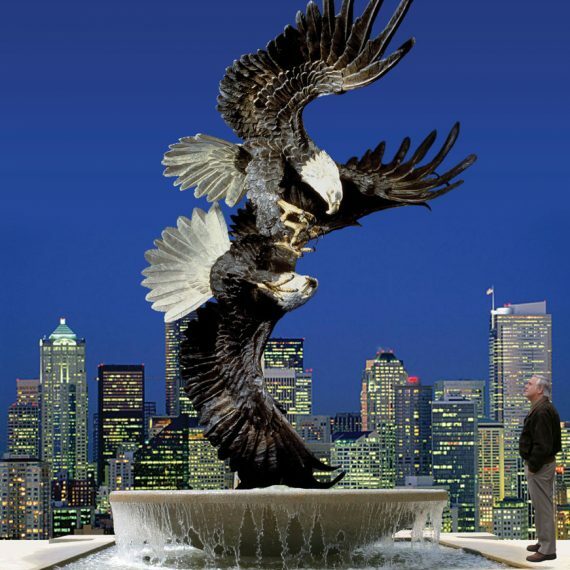 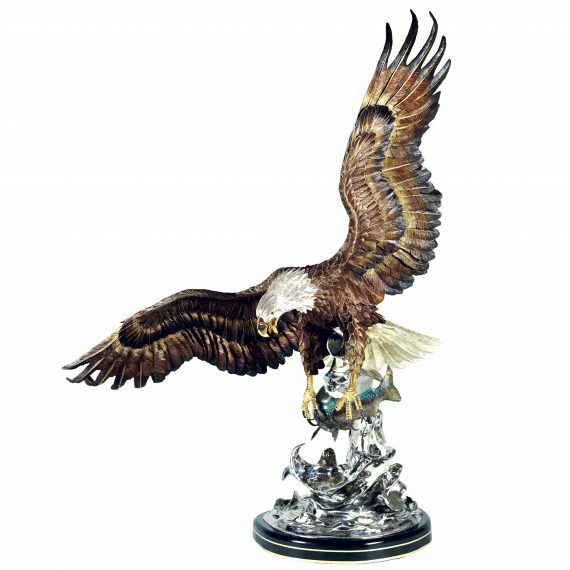 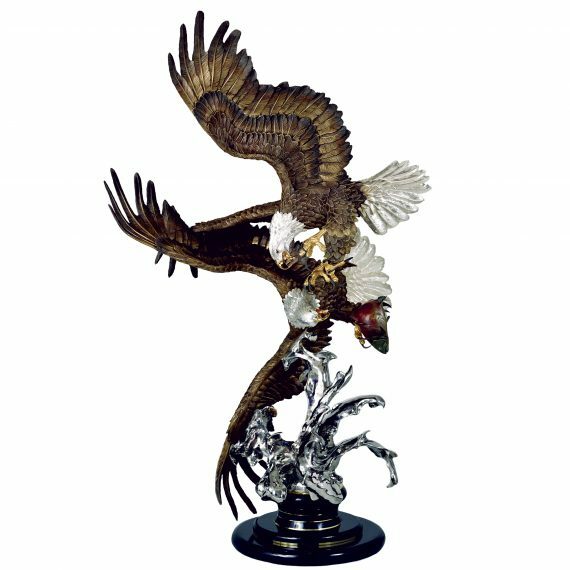 A Majestic Courtship double eagle sculpture was gifted to the golf legend Greg Norman by a friend. 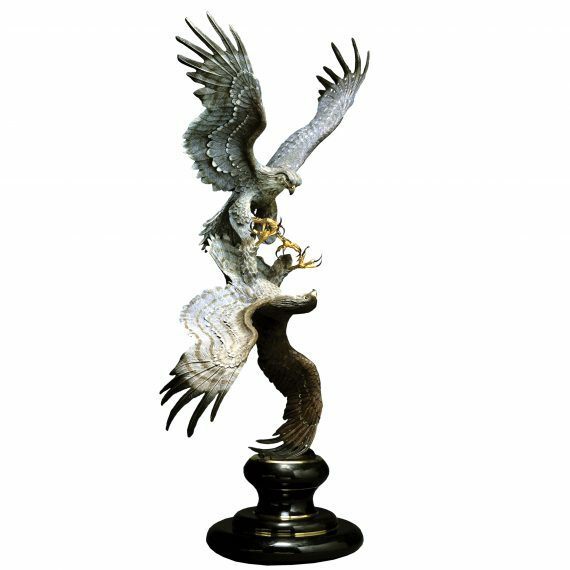 The symbolic connection of Majestic Courtship with the sought after ‘Double Eagle’ in golf is fitting. 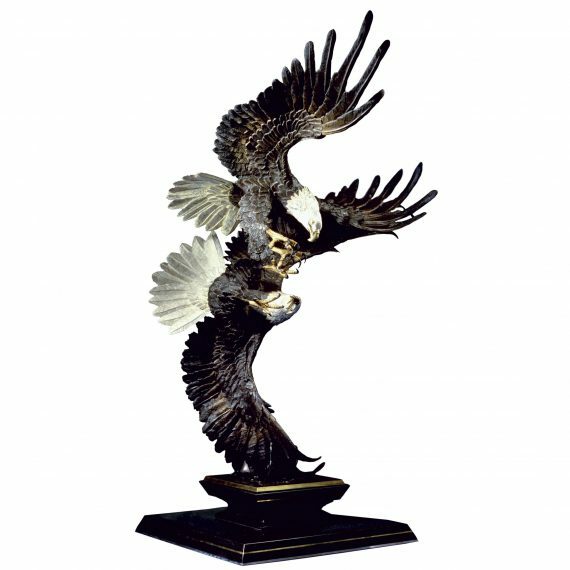 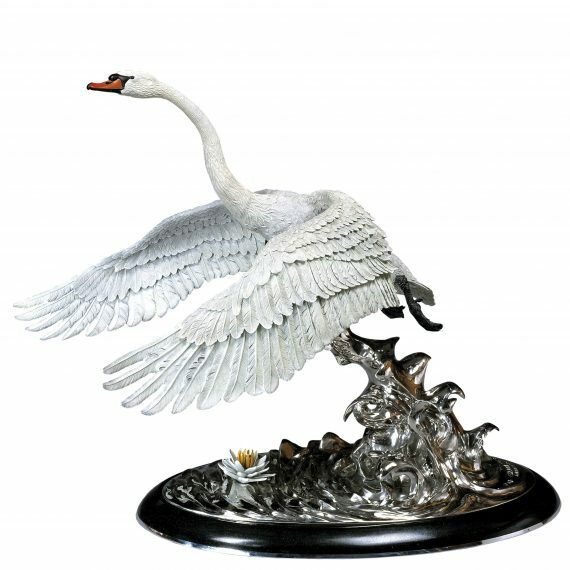 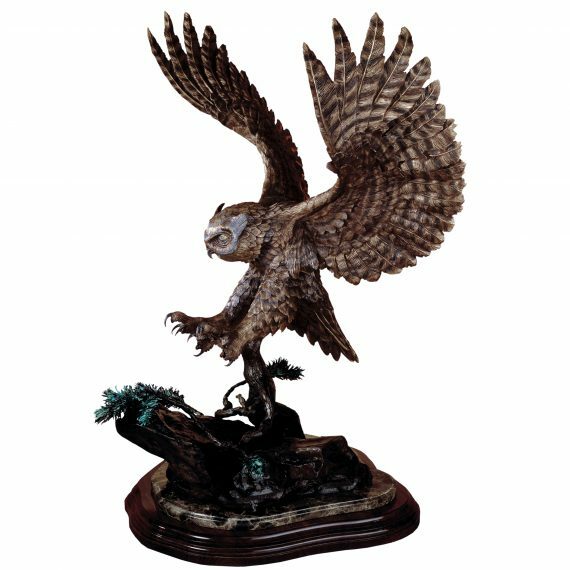 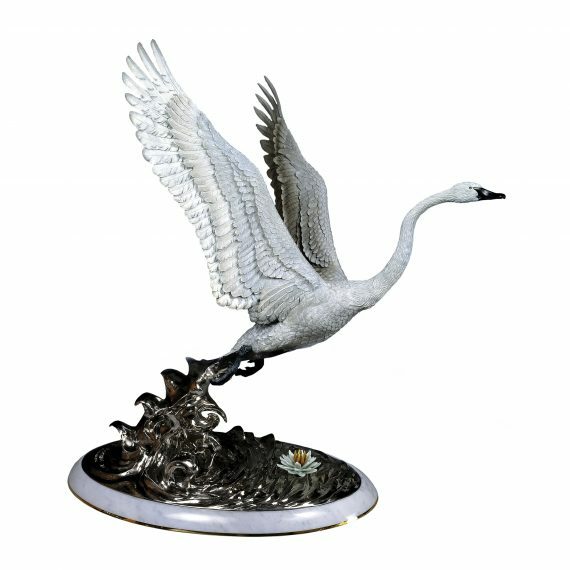 “Majestic Courtship” was a major sculpture in launching Chester’s career and is currently is sold out . 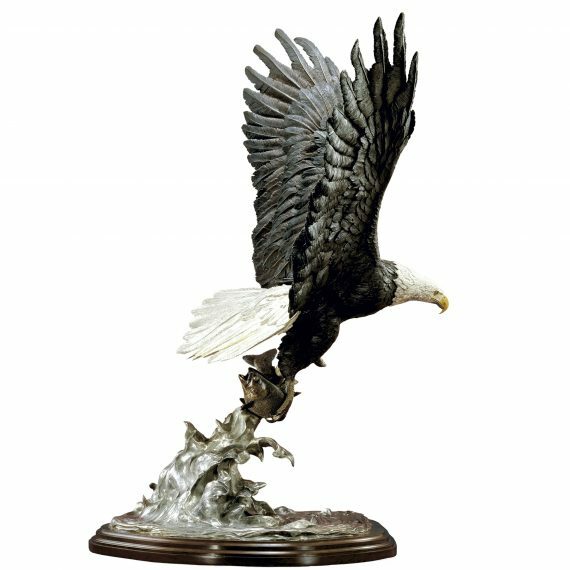 There is a smaller version available of this sculpture at a lower price point.